If you have ever seen a land surveyor at work, you can imagine that accurately measuring or inspecting a large piece of urban area can be quite a time-consuming task. Not to mention the costs involved when traffic has to be shut down in order to inspect a highway or a bridge. Wouldn’t it be marvellous if land surveying could be done from a distance – perhaps even from space? Our latest incubatee, Sensar, proposes exactly this. Using Interferometric Synthetic Aperture Radar – or InSAR – the tiniest variations in the earth’s surface can be measured by satellites. The technique uses the slight differences in the phase of the radar waves returning to the satellite in order to pick up millimetre-scale changes to the earth surface over time. Sensar will make InSAR data available to civil engineers at construction companies, engineering firms and infrastructure managers. Because InSAR is based on radar, it works just as well at night and on cloudy days. And because measurements are made from space, no road blocks are necessary. The Sensar team in front of the Botlek Bridge, the perfect study object for their application. As such, Sensar is looking for long-term partnerships with their customers. 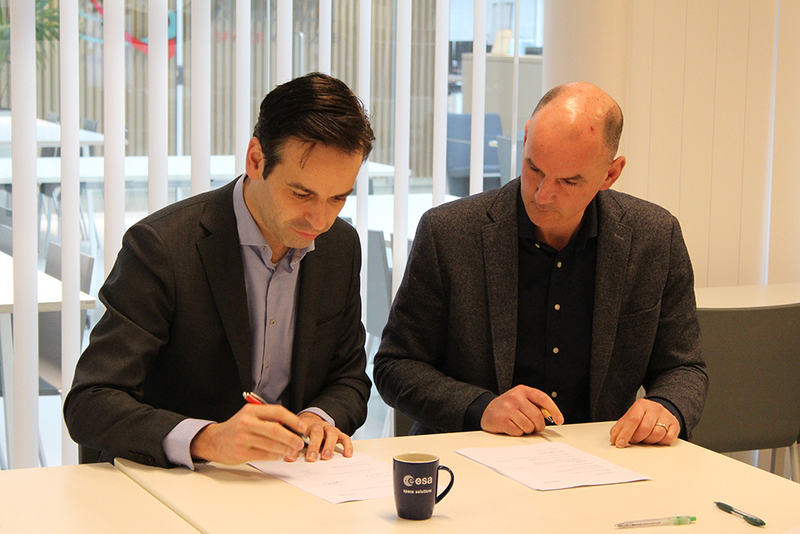 The launching customer, Strukton Civiel, a large Dutch construction firm, already recognized the value in Sensar’s ambition and the two companies have entered into a productive collaboration to further the uptake of InSAR in civil engineering practice. Jos Maccabiani signing the incubation contract on behalf of Sensar.